The countdown has begun for the FIFA World Cup in Brazil and the world is in a frenzy to get the latest news about it every second. To cater to this World Cup fever Windows Phone ecosystem has invented several apps that keeps up the promise to keep football lovers updated every moment regarding everything that counts for this gala event. Here is a shortlist of what and all you can choose out of the series of Windows Phone app that is available now in the market for the FIFA 2014. If you want to load the official app of FIFA 2014, get FIFA World Cup 2014 app. It has the latest features with the latest news that helps you get all the relevant information regarding all the 32 teams participating this year. It reaches you the final schedule of 64 matches that will be played in this tournament. This app has included everything you might be looking for about the FIFA world cup, right from the breaking news, from Getty gallery images to videos retrieved directly from the FIFA archives and FIFA TV Studio. 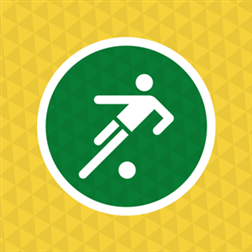 Onefootbal Brasil has come out to be one of the most appealing apps for anyone who is an intent follower of the World Cup. It has a complete set of features that carries a huge load of information, like live scores, match results and fixtures, player statistics, news, videos the final team composition, and lots more. This app is also known for giving out push notifications that allows you to share what you like through Facebook or Twitter. Overall this is a kind of app that looks equally great as it works. 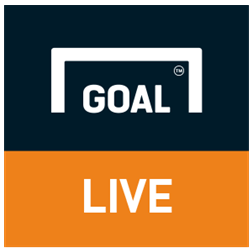 Goal Live Scores is another app of different taste that may win your heart if you're not looking for bulk information, and want to be informed with only the important stuff. It has the greatest feature of holding the fastest real-time scores. It has not allowed any other apps from Windows Phone Store to beat its speed in displaying the latest scores till now. Along with it Goal Live Scores gives you the access to the basic information like results fixtures and others. 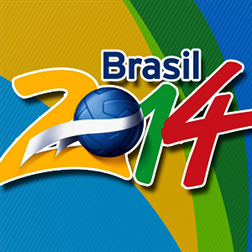 Brasil - World Cup 2014 is another lucrative app that is now available in the Windows app store. It has got all the standard tabs for the latest news, rankings, schedule, records and videos along with a chatting option. It may not stand out for the best appearance or as the most equipped app out there, but it works fine as far as one needs to be know what is going on in FIFA this year..
BBC is now ready with its latest Sport app, of which a section has been specially dedicated for the FIFA 2014 tournament. 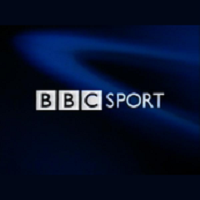 The app offers live coverage of all the matches that BBC has got the permission to broadcast. It also offers a package for match highlights as soon as every match ends. You can use the app to set match alerts for your selected teams, which includes kick-off, line-ups, half-time score, goals and the final result. The app is linked up with the World Cup Breakfast, a special feature through which anyone can download stuff every morning for offline viewing. This app also works with iOS and Android phones apart from Windows. 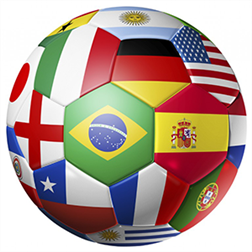 Out of all these apps of FIFA 2014 available for your Windows Phones, Onefootbal Brasil and FIFA: Free are the ones which cover up almost every aspect that you can expect out of a sport app for the World Cup. Even if you are going to watch it live directly from the stadium, these apps will keep you updated and bring you more close to the matches so that you don't miss out anything that you wanted to know. Read this article to know more about the best Metro Apps which are present in Windows 8 operating system. Microsoft recently released the Developer preview version of Windows 8 operating system. Go through entire article to know some of the best Apps in Windows 8 operating system. Windows 8 Release Preview is all ready for its Users. It imbibes a lot of Applications giving them a revolutionary change in the way they look and function.This article explores the Windows 8 Calendar App, its features and various options which can be put to use for its effective functioning. How to close an application in Windows 8 Release Preview? Do you face trouble using the Windows 8 Release Preview? Read the article to clear all your doubts regarding installing & using the Windows 8 Release Preview. Since many users have this question, I have included here the method of closing an Application in Windows 8 Release Preview. Microsoft Phone Companion, earlier called Windows 8 Companion is a new app which is helpful for Windows Phone users. Lean more about this app in the article.